grandma's cookie jar: grandma's DIY Christmas Gift Ideas - Car Ideas for Boys! grandma's DIY Christmas Gift Ideas - Car Ideas for Boys! I do not have any granddaughters, so doll houses and paper dolls are just not things which will work for me. My grandsons love cars, trucks . . . and of course, one-eyed monsters! So, when I was browsing on Pinterest and found a link for Car ideas, I had to check it out! I'm happy to say there are several great DIY ideas you can use for the boys in your life! Just check the links and you'll find all the info you need to make the following items . . . Car Crayons . . . you can make crayons in lots of fun shapes - all you need are broken crayons and candy molds! Follow this link for the details and make the boys in your life their own fun crayons! Milk Carton Fire Station . . . how much fun could little boys have with a three-bay fire station?!!! Follow this link for the details and get ready for sirens, fire-fighting and fun! Up-cycled Mat Roadway . . . my grandsons have a roadway carpet and heir parents tell me they LOVE it! 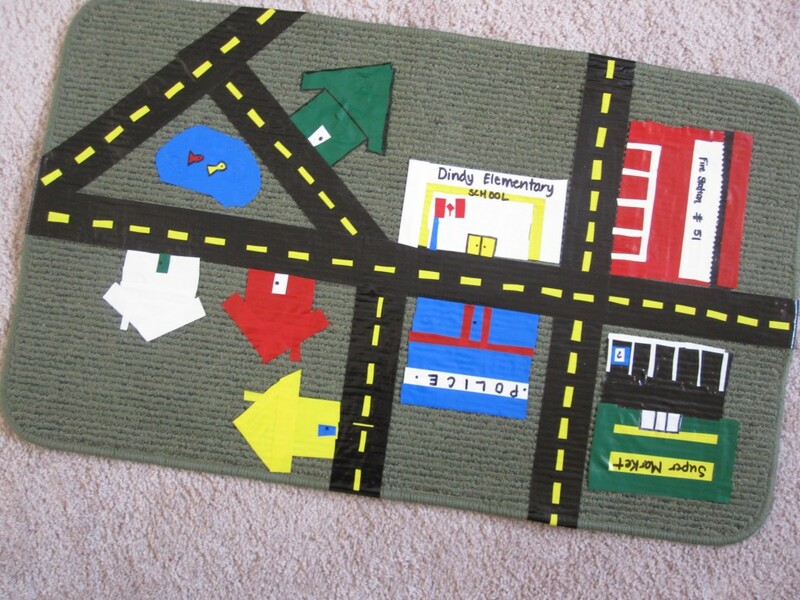 You can make one with a simple door mat and colorful tape! Follow this link for all the details, add a few small cars and you have a gift boys are sure to love! 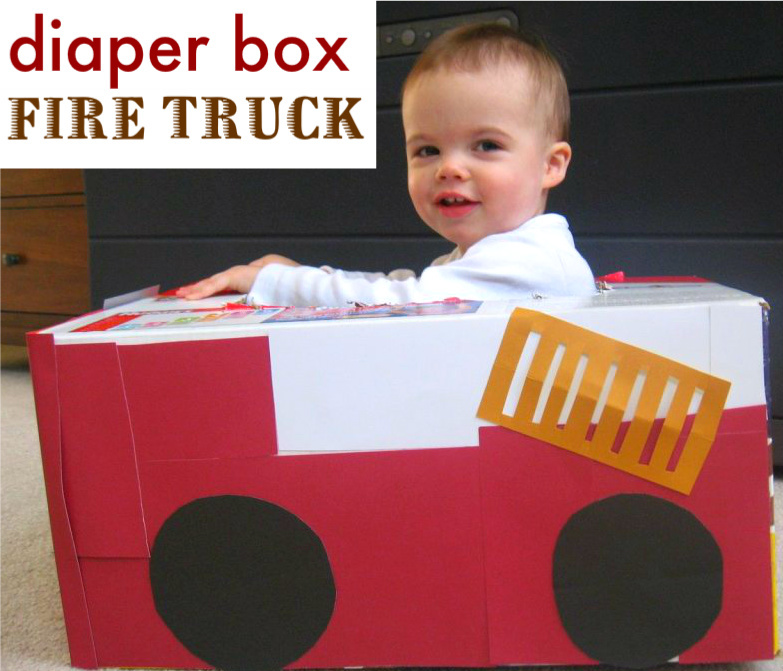 Diaper-box Fire Truck . . . my grandsons LOVE to climb into boxes and retend they are all kinds of things . . . what can't a box become? Clearly a box is NOT just a box! 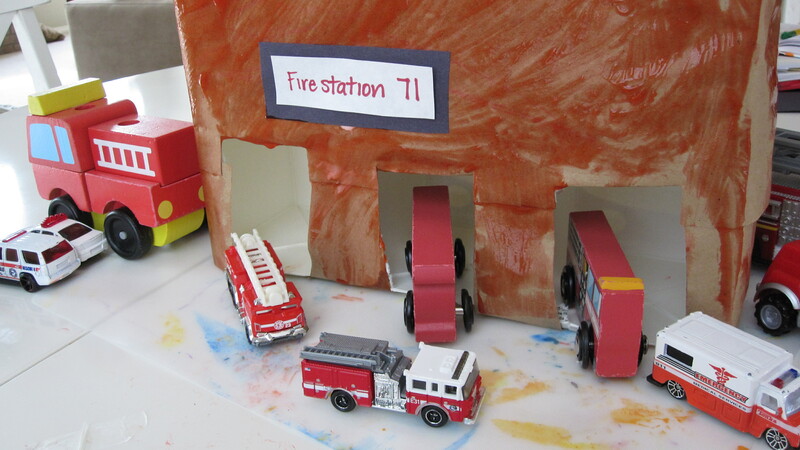 Follow this link and you'll find all the directions to turn a box into a firetruck which children are sure to LOVE!